Do you think have a slab leak in your Suncrest, El Cajon house or business? 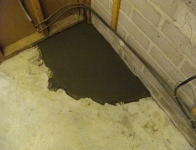 A common plumbing problem is when there is a leak under the floor... you may even find a hot or warm spot in the floor. Plumbers refer to this as a slab leak because it usually occurs under a slab of concrete, whether it's a sidewalk, patio, or a leak under the foundation. Have you noticed an increase in you water, gas or electric bill? Or do you hear water running when all the fixtures in the home are in the off position? You may have a hidden leak. That is why we offer our state of the art Electronic Leak Detection service. Option One is your local Suncrest, El Cajon slab leak experts with decades of experience. We can find your slab leak fast, and recommend the best way to repair it at the most affordable price... you have our guarantee. What Causes Suncrest, El Cajon Slab Leaks Under The Foundation? Settling of the foundation can easily bend and damage pipes beneath the surface causing slab leaks in Suncrest, El Cajon. Poor workmanship at the time of construction can also be responsible for leaks under the foundation. Slab leaks can also occur from corrosion of the pipe due to high pH levels in the water. Old galvanized pipes will also finally give up and break down after years of service. 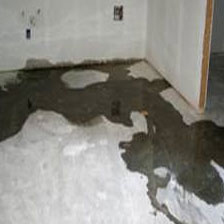 Option One Plumbing technicians are experts in repairing slab leaks under the foundation in Suncrest, El Cajon. You can count on us to quickly find the leak, make repairs as necessary with full disclosure of price, and never at an unnecessary cost to you. You want a fast, affordable and honest plumber in Suncrest, El Cajon, that is Option One.